This post is sponsored by Universal Pictures Home Entertainment. All images and opinions are my own. 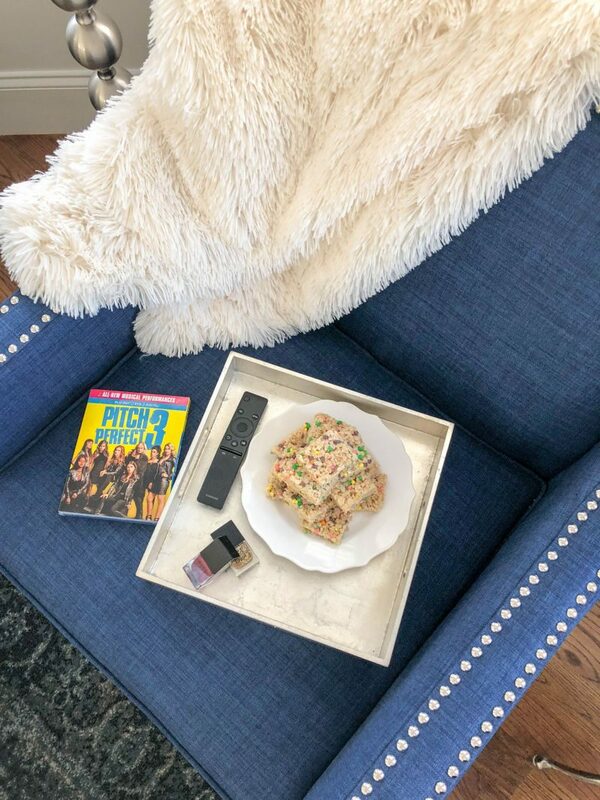 Is there a better way to spend a Friday night than a girls night in with a good chick flick? I think not! Luckily for all of us, the Bellas are back for one last call in Pitch Perfect 3. I love the Pitch Perfect series- they are such fun, feel good movies which is always my favorite! 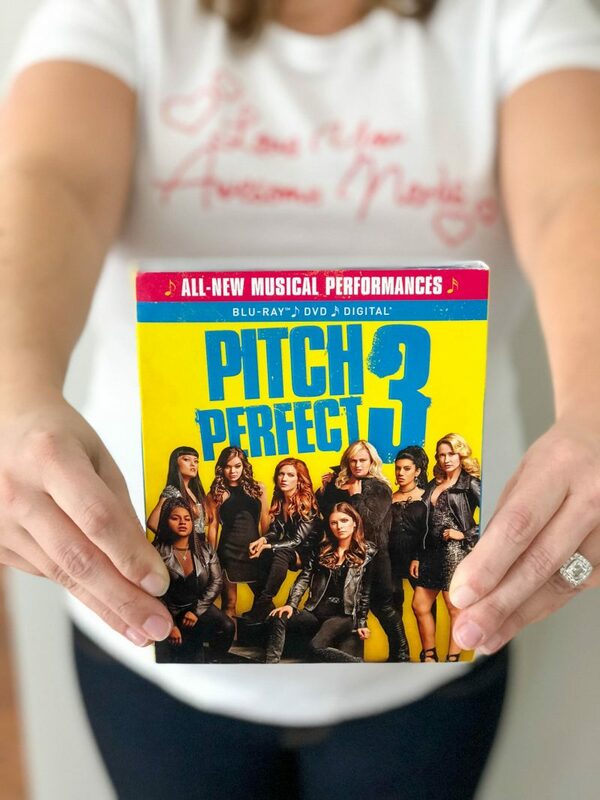 With Pitch Perfect 3 now available on Blu-ray, you can own it yourself complete with new musical performances, a gag reel and extended scenes not seen in theaters. In the 3rd flick, the girls are now graduated from college and making their way through the real world where they find it takes more than a capella to get by (ugh.. isn’t the rude awakening into the real world after college the worst?). The Pitches get the chance to reunite for an overseas USO tour, coming together to make some music, and some questionable decisions, (and give us LOTS of laughs) one last time. My mom, sister and I all love the Pitch Perfect movies! We’ve watched them all together and saw the second one in theaters on one of our girls’ weekends- making the series just a bit more special to me. You Bella-believe now that Pitch Perfect 3 is out, I’m already planning a girls night in with the two of them to watch! The three of us have a tradition of trying out different beauty products during our girls night, so I’m be stocking up on some new masks and pretty nail polish for at-home manis during our movie date too! Oh and no movie night would be complete without a sweet treat, am I right? 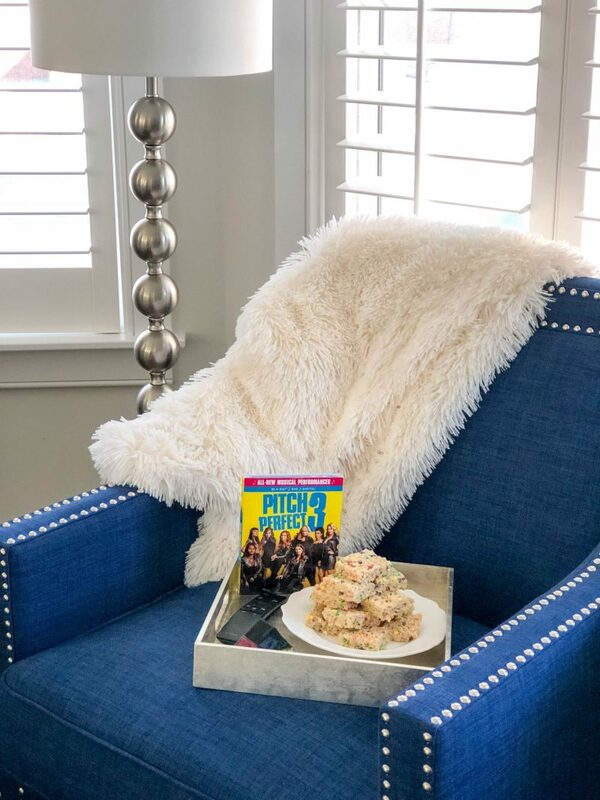 For an aca-mazing dessert, I added nerds to a basic Rice Krispies treat recipe below for these Awesome Nerds Rice Krispie Treats. 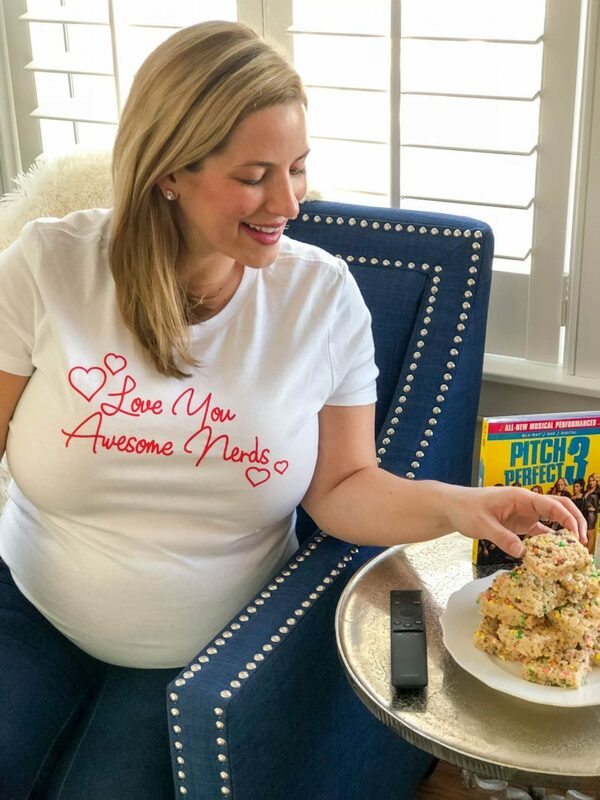 It’s the perfect snack to much on with your best pitches- both on screen and off! 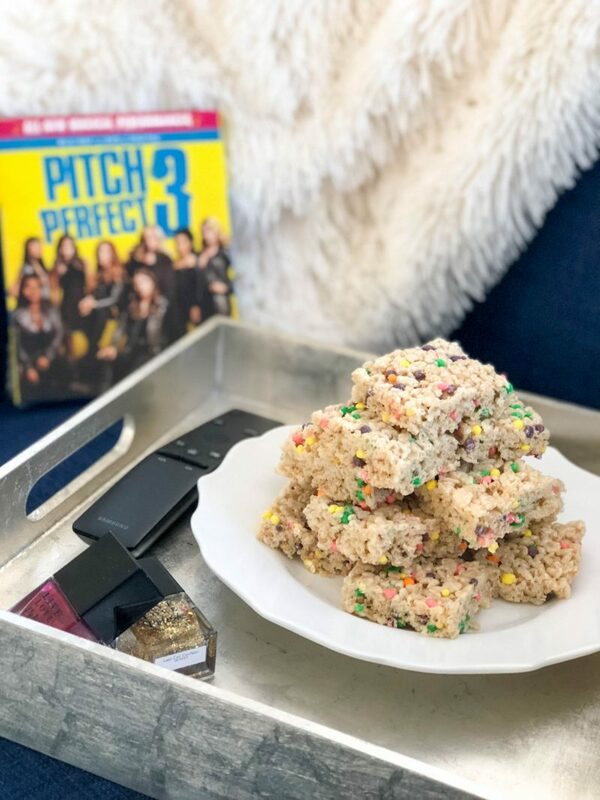 The third time’s a charm- pick up Pitch Perfect 3 on Blu-ray and watch it with your awesome nerds this weekend! Prepare a 9×13 baking dish by spraying with non-stick spray or covering with parchment paper. In a large sauce pan, melt the 3 tablespoons of butter over low heat. Add marshmallows and melt over low heat, stirring while melting. Remove pan from heat and stir in cereal and Nerds candy. Spread mixture into prepared baking dish and push down gently to evenly distribute. Allow treats to rest for ten minutes before cutting and serving. Best enjoyed while watching Pitch Perfect 3!